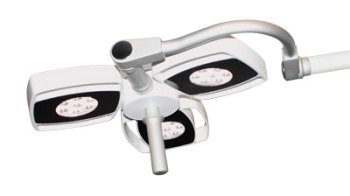 The Series 3 SL315C Ceiling Mount Minor Surgery Light provides outstanding colour rendering and light output for hospitals and general practices. The award winning Series 3 is the larger three head version of the Series 1. 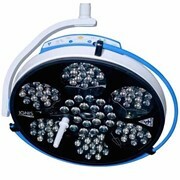 LED light technology – 3 x 15W. For ceiling heights lower than 2700mm a 'LC' suspension arm is used. 360° continuous rotating electrical connector at the upper ceiling joint. 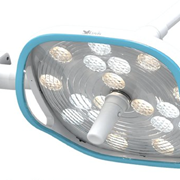 Medical & Surgical Lighting Pty Ltd is proudly an Australian company, providing the benefits of locally manufactured products as opposed to imported. MSL has an ongoing program for new product development and manufacturing upgrades. 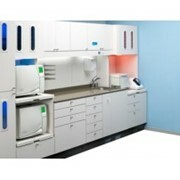 For healthcare there are special lighting demands for procedural requirements. 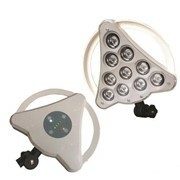 To service this market MSL has a versatile range of examination light models. 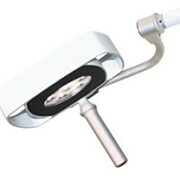 They are available in ceiling mount, wall mount and mobile trolley with LED light sources. 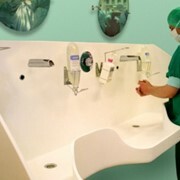 All are suitable for a wide range of working tasks which can range from general medical examinations to minor surgery. 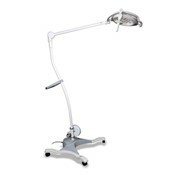 All products are designed and manufactured specifically for medical examination lighting. 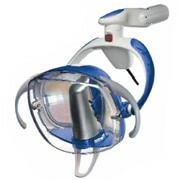 Their development has been done in close cooperation and consultation with the healthcare sector as opposed to some other products where the development is a result of modifications to general task lights. 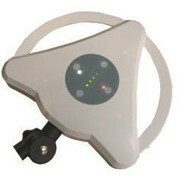 Many of the standard MSL features are normally only found in higher end surgical lights. For special applications our flexible manufacturing capabilities can provide product modifications to standard designs. 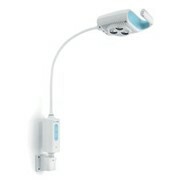 Mention MedicalSearch so MSL Lighting can best assist you! Get a callback from an expert at MSL Lighting to help answer your questions.